We’re the team who decide what the Coventry should offer. We look after savings accounts, mortgages and other financial services such as insurance. We develop, launch, manage and monitor all of the Coventry’s products. We look at how all our accounts are performing and what competitors are doing. We use Coventry and industry forecasts and our margins to design and develop accounts that will make sure we meet our targets and put our members first. The Product team look after the whole product life cycle from designing new accounts and acquiring new business to rationalising or closing old accounts. We need strong decision-makers, researchers and analysts, with great influencing and presenting skills – our key stakeholders are senior management and executives so you’ll need a confident and engaging style. You’ll need a good awareness of what’s going on in the savings and/or mortgage market. 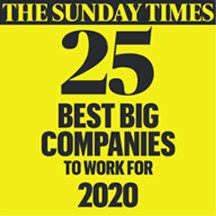 We’ll reward your talent and commitment with a supportive and stimulating environment, and all the benefits of an employer who genuinely puts its customers first.